The St. Germain Golf Course if one of the most beautiful courses in Northern Wisconsin. It's pristine fairways cut through the forest make it a joy for anyone seeking a great championship golf course on their Northwoods vacation. 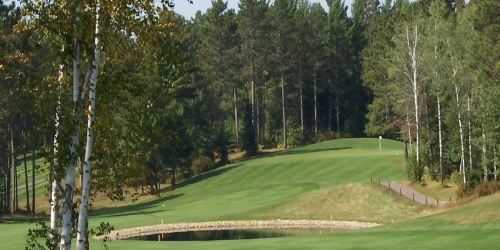 A trip to Wisconsin's Northwoods is always a good idea, but a GOLF trip is an even better idea. St. Germain Golf Club has partnered with our neighbors at The Whitetail Lodge to offer you an unprecedented "Stay & Play" package! St. Germain Golf Club reserves the right to change price and offer at anytime. Prices and offer are subject to change without notice. GolfWisconsin.com is not responsible for errors posted in this golf package.